Don Gregory is a PC-1500.info reader and contributor. 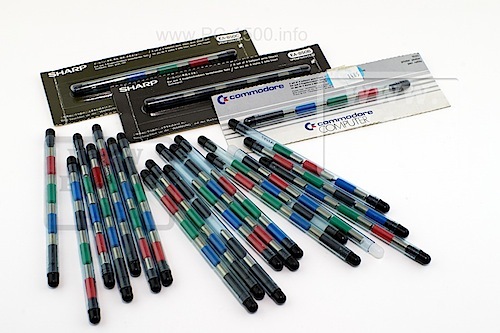 The CE-165 is a program writer for CE-160 memory modules. 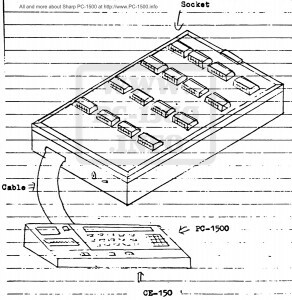 Programs must first be written to a CE-155 8k module (not a CE-159). DEF key labels should be used for your programs. 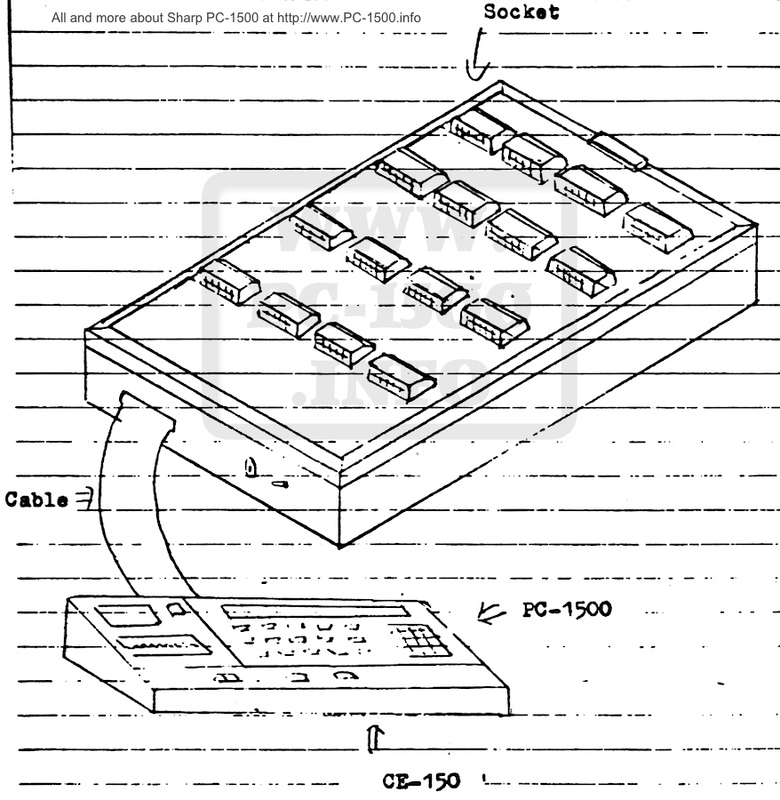 Read a CE-160 manual. 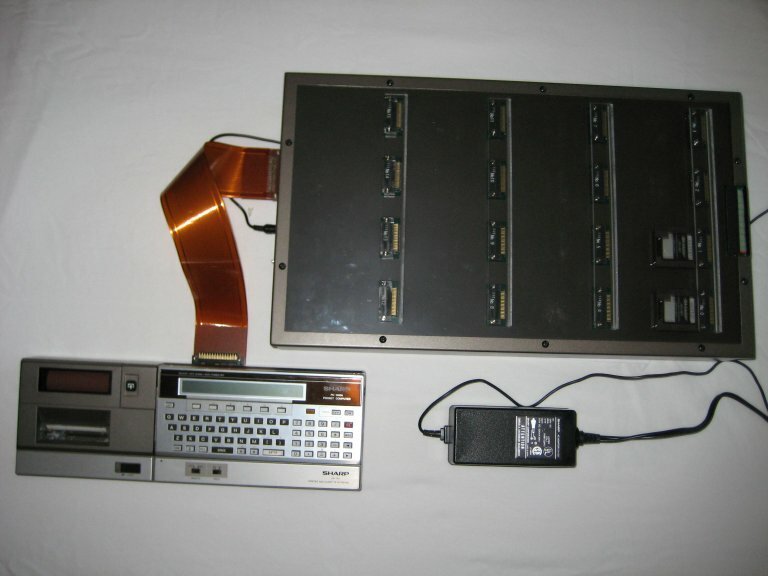 Then the program can be transferred to the CE-160 module. Up to 16 modules can be programmed at a time. Connect the PC-1500 with CE-155 to a CE-150 printer. Load your program and power off. Connect to the CE-165 via a cable. Connect the EA-150 power supply to the CE-165 then plug to a wall outlet. Power on the CE-165 then power on the PC-1500. Commands corresponding to the Function keys will appear on the screen. X will be the number of modules that are inserted and functioning. If the number is correct press the Function Key under YES. Program proceeds to Screen 2. If the number is incorrect press the function key under NO. Any number not appearing is a good module ready to use. THIS VALUE IS WRONG is displayed. 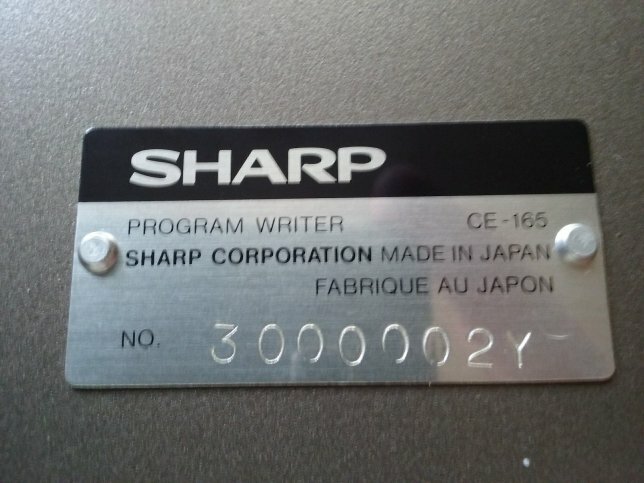 Are you able to understand the meaning of it’s CE-165 serial number ? It’s one of the firsts one produced. Thank you very much Don for this article ! We are happy to see a near mint, full functional, CE-165. This entry was posted in 3-Modules, 4-Extensions, Hardware and tagged CE-160, CE-165, CE-165W on 09/03/2017 by Rom1500. Yes, you have correctly read the title ! 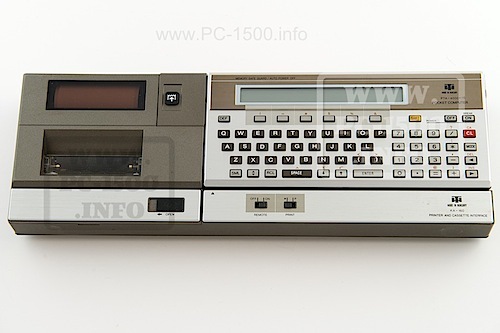 I have informations about the unfindable PC-1500 extension : the CE-165W ! Many of us have long sought this device without finding anything. But luckily a friend had a few pages stapled, lost in a pile of documents. 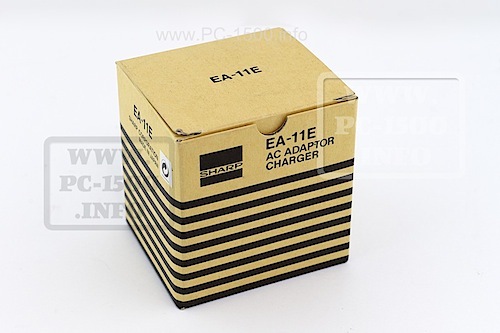 What is the CE-165 W ? This is not an EPROM programmer. 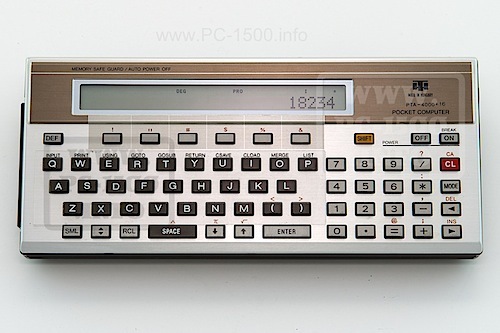 But it is actually a programmer for the CE-160 modules. It can program 16 once. The verification phase is done by module. 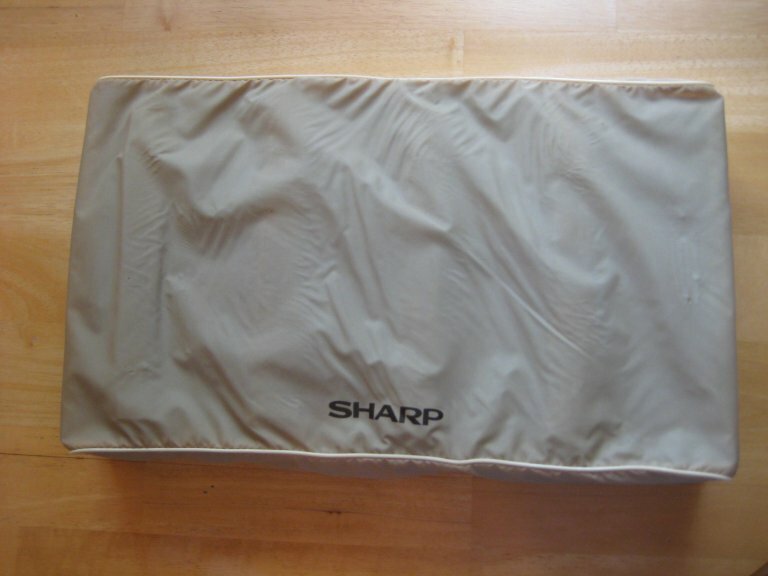 You can download all 4 pages of specifications by Sharp. I will speak later of the CE-160 and we will detail its operation. Ah, many sites say that its capacity is 16Kb … but this is false, it is 7.8 Kb. Please, note that the CE-165W needs a CE-155 module plugged inside the PC-1500. The pocket computer must have enough memory to store the source program. If you want to share these informations please share the link to this page. Thanks. This entry was posted in 3-Modules, 4-Extensions, Blog, Hardware and tagged CE-160, CE-165, CE-165W, extension, PC-1500, PC-1500A, Programmer, Sharp on 07/23/2014 by Rom1500.